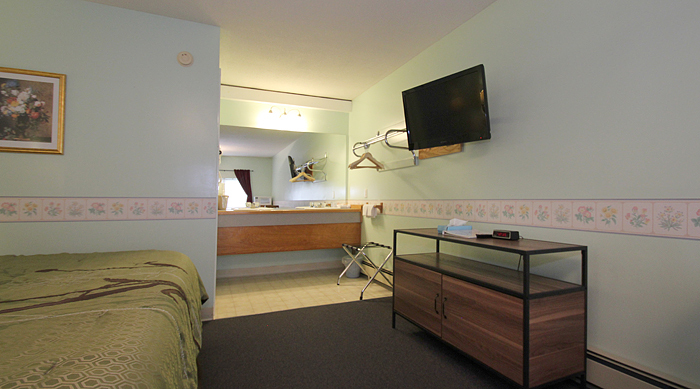 The Canaan Motel is privately owned and operated. 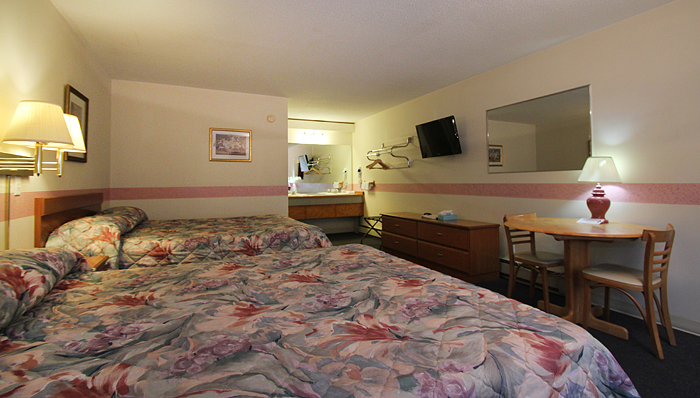 We pride ourselves on the cleanliness and q uality of our guest rooms. 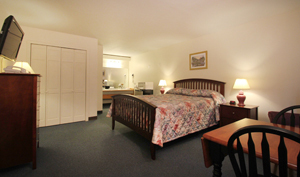 We offer extra clean guest rooms available in a variety of arrangements. 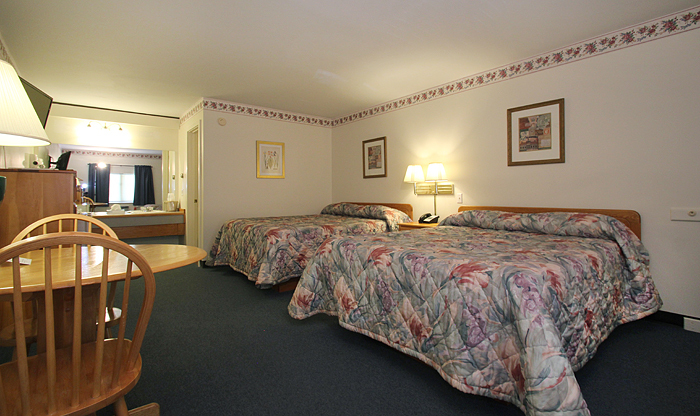 Our rooms have either one or two queen beds, or one king bed. 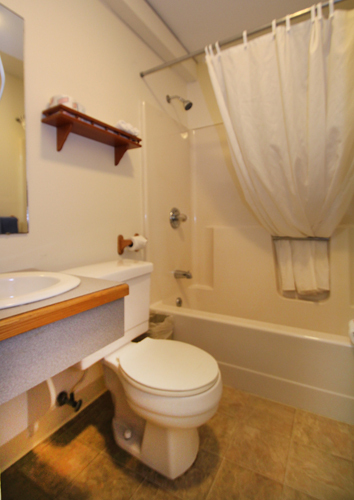 We also have efficiency rooms with kitchenettes. Please note: for the comfort of all guests, all rooms are non smoking. Details on our smoking policy are listed below. 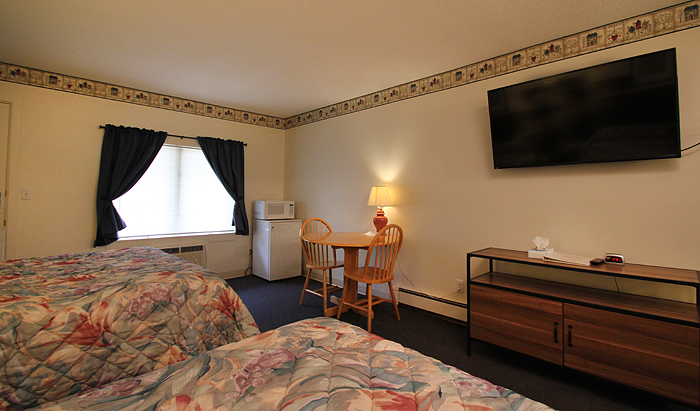 Each of our rooms comes with new LED TV with HDMI plugs. Some rooms have extra large 50+ inch TV's. 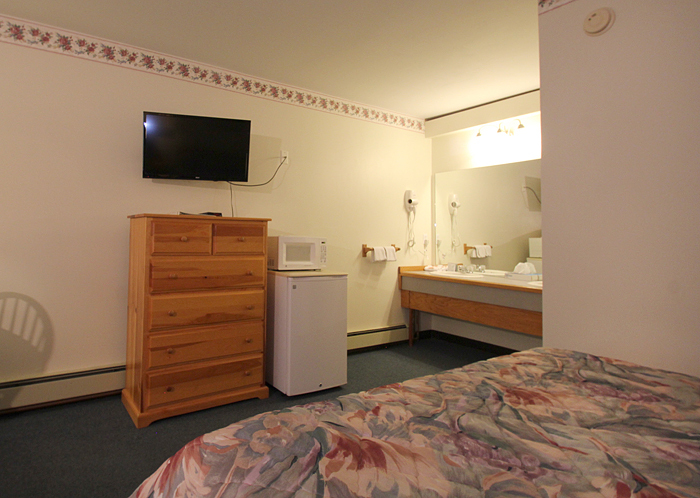 Hair dryer, microwave, & refrigerator, free WI-Fi and telephone with free local calling. Call Us Directly For Best Rates. Reservations: Advanced reservations are suggested especially during the summer and fall seasons. Rooms cannot be guaranteed beyond 3:00pm. 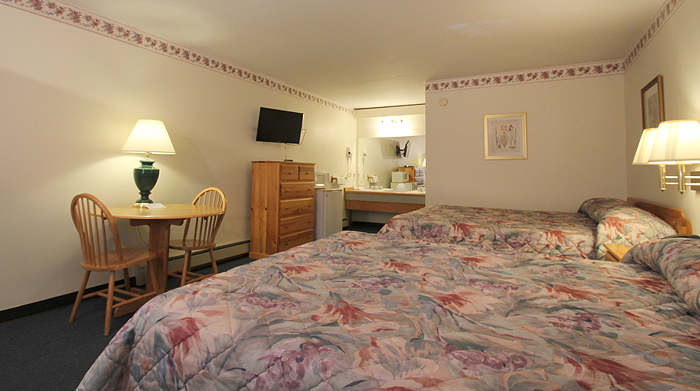 Unless credit card information provided or one night's stay advance deposit received. All deposits must be received within 10 days (June thru November) or 5 days (December thru May) of date reservation is placed. Full payment is due on arrival. Cancellation: A deposit of the first night's charges will guarantee your reservation for the day off your scheduled arrival. A refund will be issued if you cancel 48 hours prior to scheduled arrival. No Call No Show day off your scheduled day first night will be charge on credit card and remaining night will be canceled automatically. The regular rate for one night will be applied to early departures with less than 24 hours advance notice. Check in anytime after 3:00pm. Special arrangements must be made for late check-in after 11:30 pm. Just inform us of your circumstances. Check out 11:00am. Please check out and drop keys in express checkout key drop box outside of office. 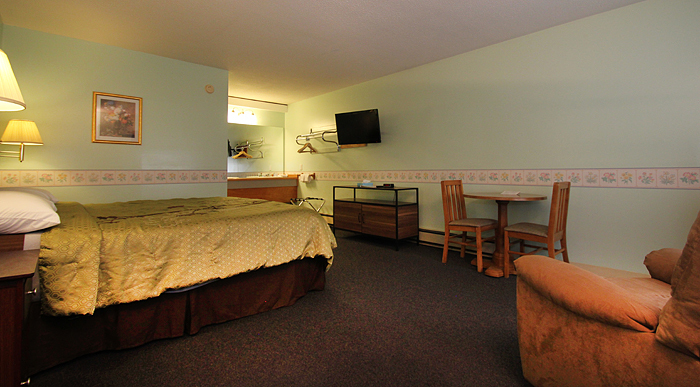 Rates are based on double occupancy and subject to a 9% Maine sales tax. Rates subject to change without notice. Payment: Cash, Travelers checks, and most credit cards accepted. Sorry, no prepaid cards or atm debit cards are accepted. 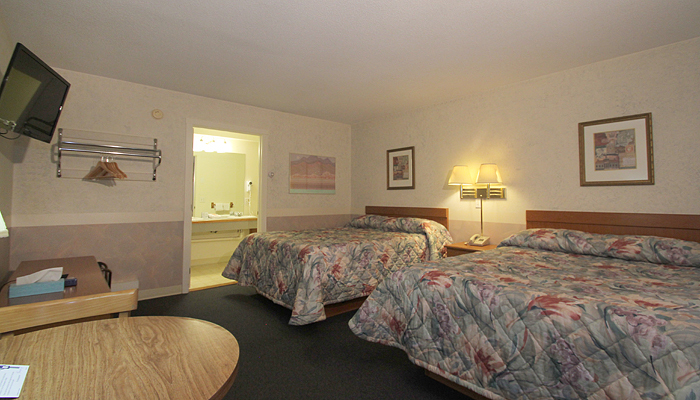 Smoking: for the comfort of all guests, all rooms are non smoking. Guests who smoke in a room will be charged a $300 cleaning fee. Pets: Sorry, for the comfort of all guests we no longer allow pets. Anyone who takes their pet inside a room will be automatically charged $250.00 for violating our policy. •	Children are always welcome. Children under age 16 stay free. Age 16 and over is considered an adult. •	More than two adults in one room and/or a request for a cot/crib can result in an additional rate. •	Ask us about our frequent guest program and special group rates.